Nepenthes gymnamphora is another species shrouded in controversy. In Clarke's book he compares N. gymnamphora, N. pectinata, and N. xiphioides. I guess N. gymnamphora appears most similar to N. xiphioides of all. Those two species look very similar to me. 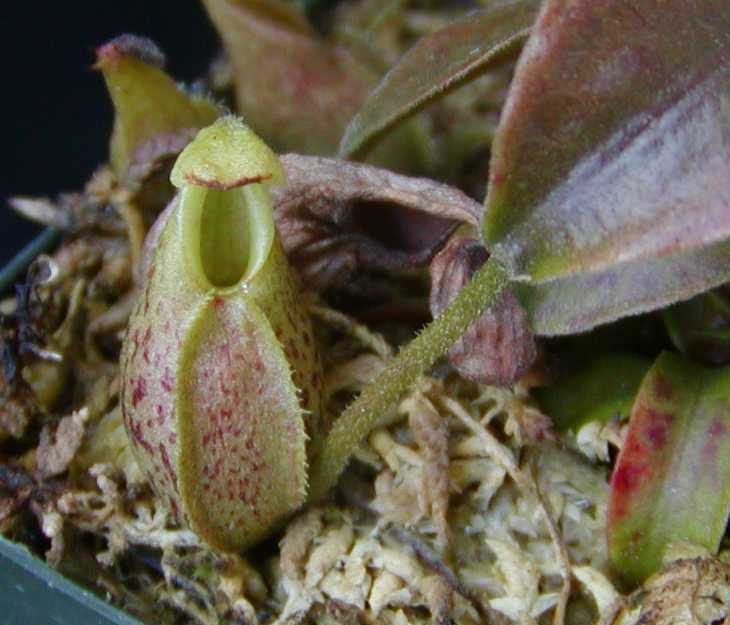 The peristome kind of "plunges" down and is more oval than other Nepenthes. The N. pectinata I grow is definitely different from N. gymnamphora and N. xiphioides. I recently purchased a larger specimen than the one above so better photos should be coming. My small guy from Germany has grown rather slowly compared to my other highlanders.